Members of Bicycle Adventure Club have used EcoColors for many tours throughout the Yucatan Peninsula, viagra generic pharm Chiapas, generic viagra and Oaxaca Mexico. EcoColors has booked very good hotels with excellent meals and provided very capable guides that have provided our groups with much information, support for the cyclists (including a mechanic), good snacks and maps. Sometimes the maps have not always been easy to follow due to the nature of the roads in Mexico but the guides were always present to assist us getting to each destination and provided good backup. Some reasons I go through them: They are truly interested in the environment (the Eco- component). They don’t merely “greenwash” – i.e. present a facade of concern for the environment. 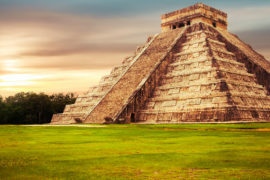 Their guides are well educated and knowledgeable—this includes adventure activities, the environment, Mexican history, Mayan history and culture. They also are good with dealing with Americans. They are a small Mexican company. This is in keeping with the goals of alternative tourism, which is to help the local people and economy. Instead of the money going to the large hotels, and then to the U.S., or Europe, the money stays in Mexico, helping small Mayan villages, natural areas, or various ecotourism sites. They are extremely knowledgeable about the Yucatan. They are constantly seeking out and discovering new areas. Swimming with whale sharks has long been a dream of mine, and they made it come true in a big way! Our tour guide Sasha was a sweetheart, and the boat crew were funny and entertaining. They exceeded my expectations, there were whale sharks everywhere, and they went out of their way to make sure we had the best experience ever. They even had the van that picked us up from our resorts stop at a convenience store to make sure we all had Dramamine for the boat ride out there, and told us the best time to take it to ensure the comfort of everyone. We got a lot of time in the water with the whale sharks, and it was fantastic! The ceviche lunch was also delicious, and we got to do some shallow water swimming after the shark tour. It was a wonderful day, and I cannot wait to do this again and bring friends along.